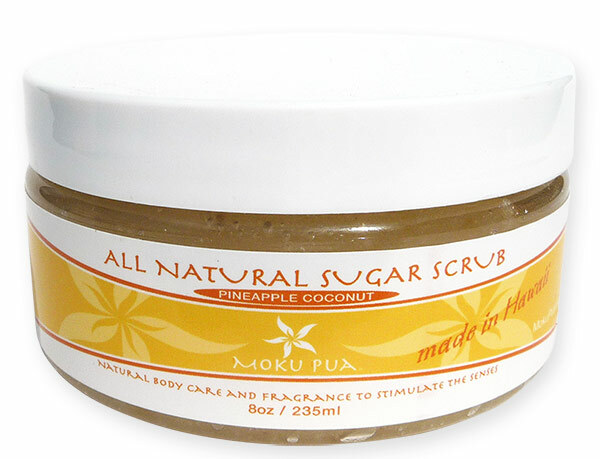 Moku Pua Bath Salts are made with Sea Salt, Epsom Salt, Essential Oil and/or Fragrance Oil, and FD&C approved color. 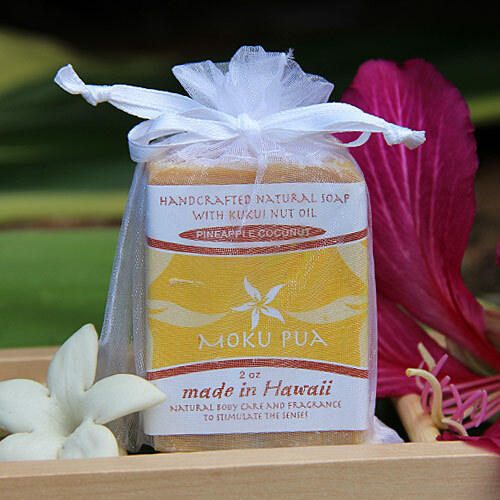 Our colors easily disperse in water and will not stain your bath tub. 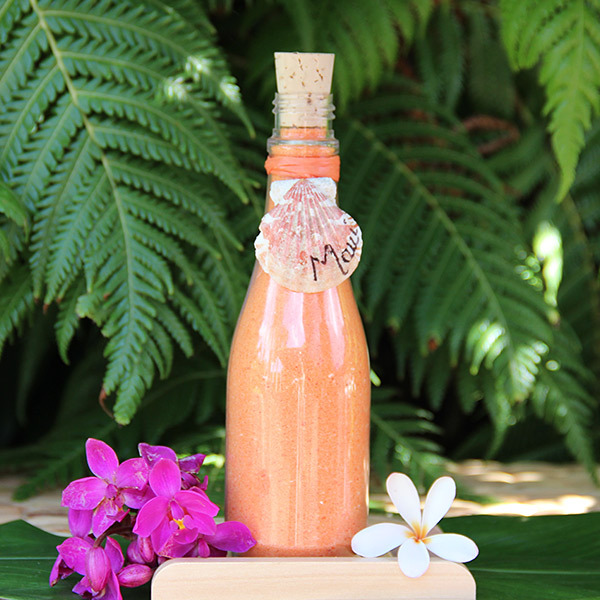 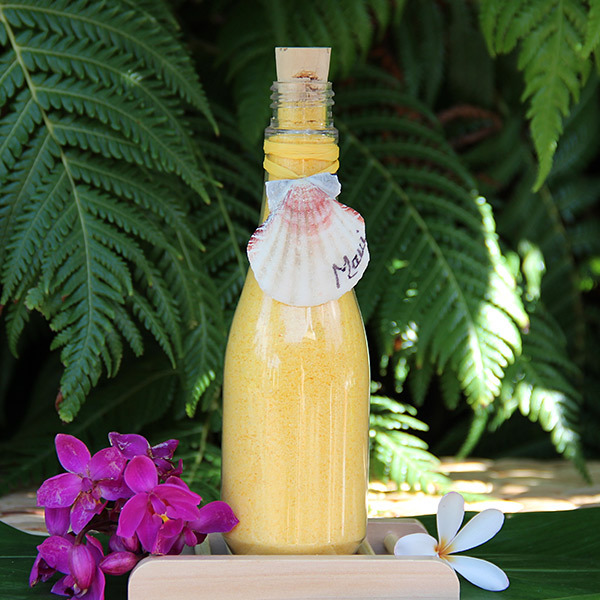 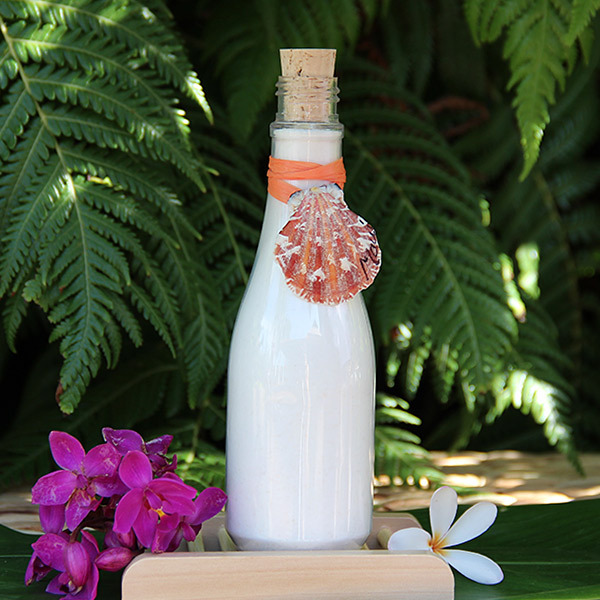 Packaged in a corked, clear plastic bottle with a reusable Maui seashell ornament.